We managed to squeeze this summery engagement session in with Katie and Jordan just before they tie the knot this coming September! They love the urban feel but also natural spaces. It's a good thing we live in Minneapolis, because those to scenes are pretty abundant around here! We decided on Minnehaha Falls! 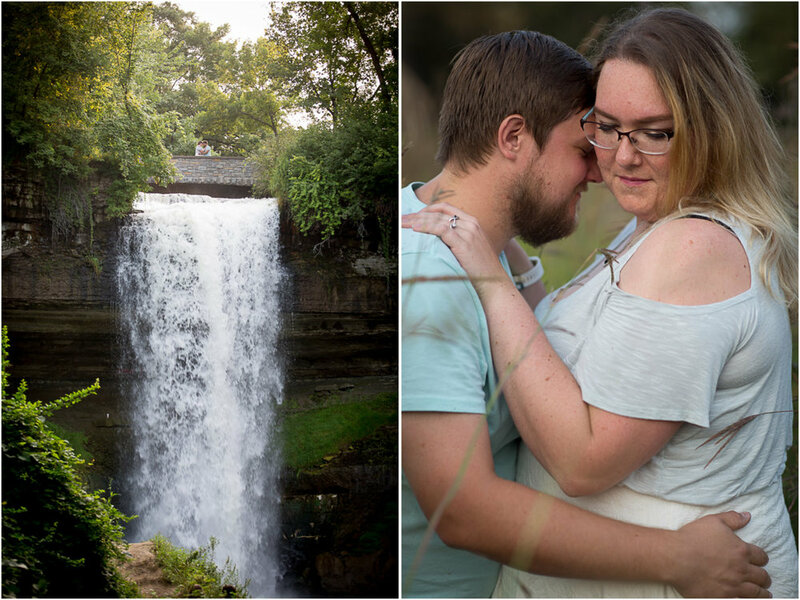 At the very end of our session we hit up Goldwater Spring just down the road from Minnehaha Falls in Minneapolis for a few photos in the gorgeous long prairie grass! 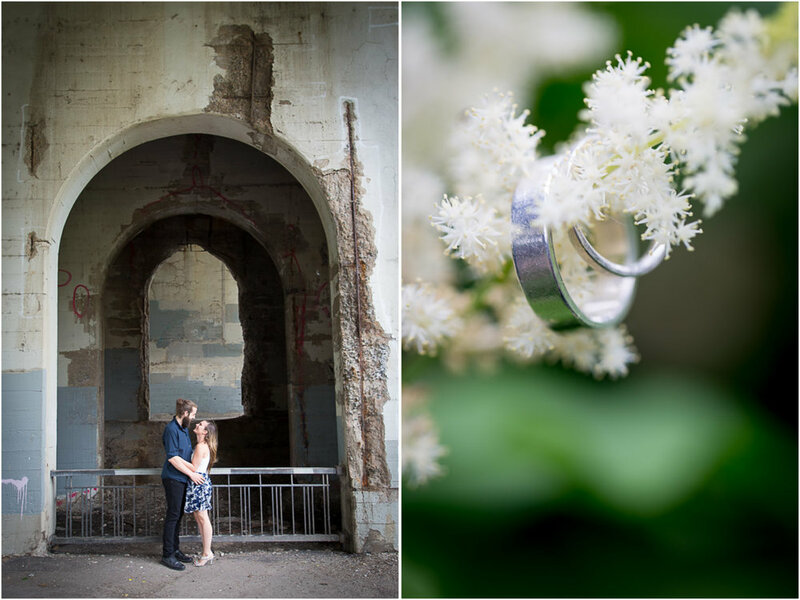 Liz and Patrick had a couple of locations Minneapolis in mind for their engagement session, so we hit them both up! Our first stop was Lake of the Isles, and next was the St. Anthony Main area next to the Stone Arch Bridge. We were even able to sneak in a few photos of their little guy before he decided it was nap time and he fell asleep! 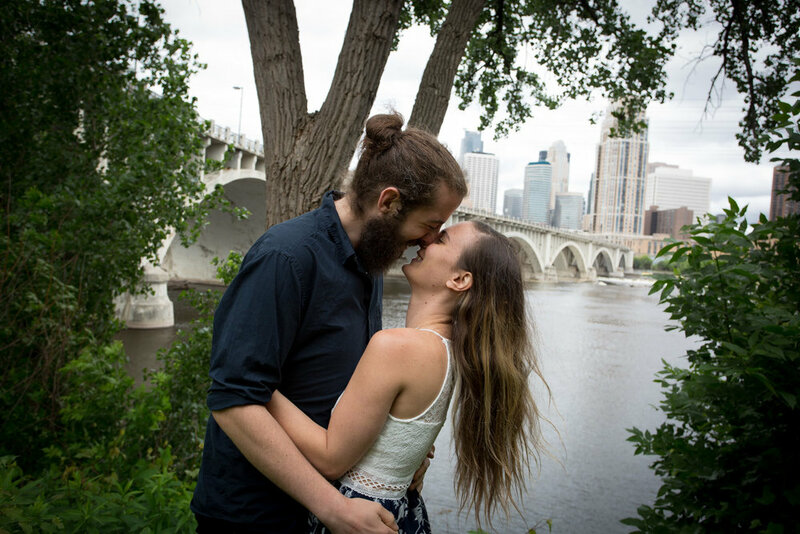 These two say "I do" in mid July and we cannot wait to capture it for them! In the meantime, here's a few of my favorite images from their engagement session!